This tool is ideal for removing heavy rust as well as paint, it screws on the end of a standard size air chisel gun. 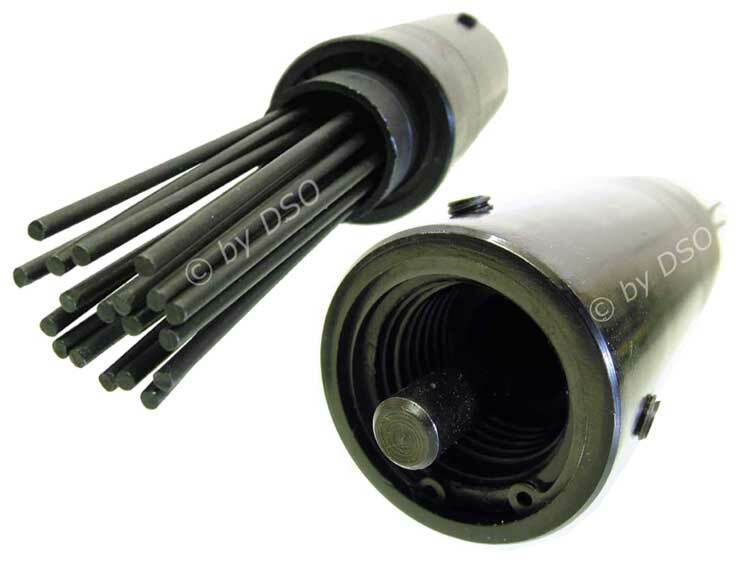 The descaler has a black oxide finish to prevent corrosion. This attachment is made up of approximately 19 needles which chip away at the surface. Heavy duty steel casing around the needles with knurled ring around the outer circumference for a better grip when you have oily hands.